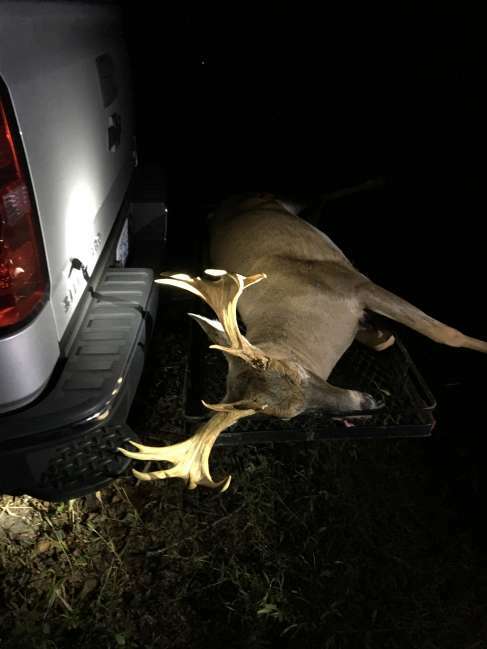 I killed this 15 point buck in Surry County NC on 10/13/2018 at approximately 7:00pm. I have had tons of pictures of this buck on trail cam. This was the second day in a row I had hunted this stand with seeing 13 deer the day before. The wind was just right and we had a cold front come in. I knew it was the day to be in this stand if I wanted a opportunity at this buck.